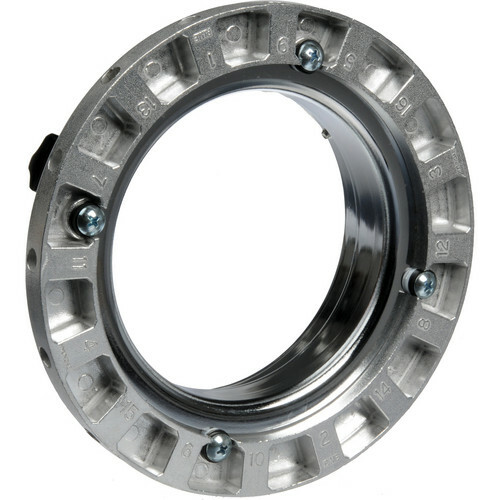 This Dynalite SDL-16 Speed Ring is a 16-hole rotating aluminum accessory that allows you to connect Dynalite Square, Strip, Rectangle, Octabox and Grand Series softboxes to most Dynalite flash heads. Exceptions are the Dynalite Ring Flash, Pencil Head, and the Baja monolight. Box Dimensions (LxWxH) 7.7 x 7.6 x 2.6"
SDL-16 Speed Ring is rated 3.8 out of 5 by 5. Rated 3 out of 5 by Anonymous from Speed ring It is what it says it is. Decent build What it lacks for the money these and the Giant 47 should be collapsable without the need to fit each arm back into it's corresponding hole. That eats time during set up and take down. Rated 5 out of 5 by C.James from Works Great Got this to use with the Grad Softbox and of course had to modify it a bit to get it to work with my non-dynalite strobes. But it is great and love it. Rated 3 out of 5 by Chris from Medium Grade Speedring Better build quality than Impact, not as good as chimera/prophoto. A good value for the money. Rated 5 out of 5 by Paul from Would buy again in a heartbeat. A must if you want an easy soft box set up with dynalites. Great and well built product.